Apart from a few minor incidents and a few infractions of the law requiring police intervention, J’ouvert 2017 was relatively quiet. 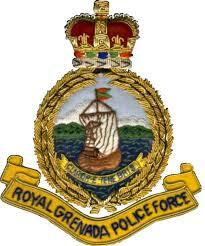 The Royal Grenada Police Force (RGPF) thanks the general public for their continued support and urges all to continue to exercise caution during the remainder of the festive season. We are also appealing to all motorists and other users of the road, to make road safety a priority to avoid injuries, loss of lives and damage to properties. Failure to obey road safety rules and regulations regularly can lead to road fatalities, serious accidents and injuries. Motorists are also encouraged to always drive defensively and to road conditions; be mindful of potholes, slippages as well as road closure warning signs. Cyclists are encouraged to wear protective gear and pedestrians are urged to observe road safety rules.